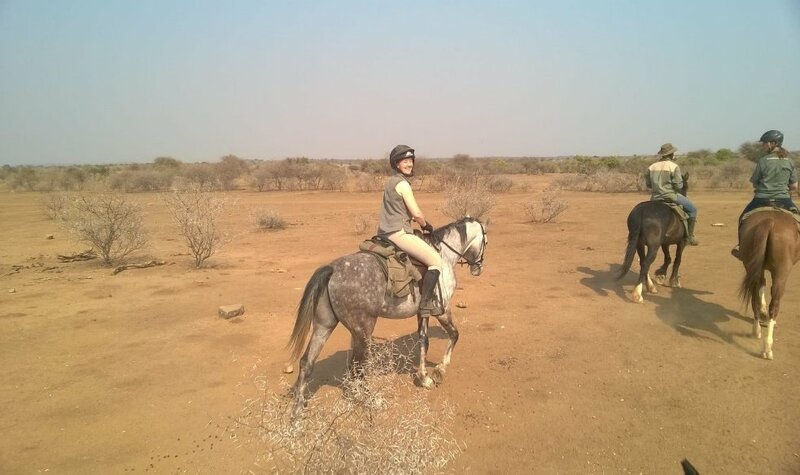 Emily Higgins recently headed to Limpopo Safaris as a ride volunteer. 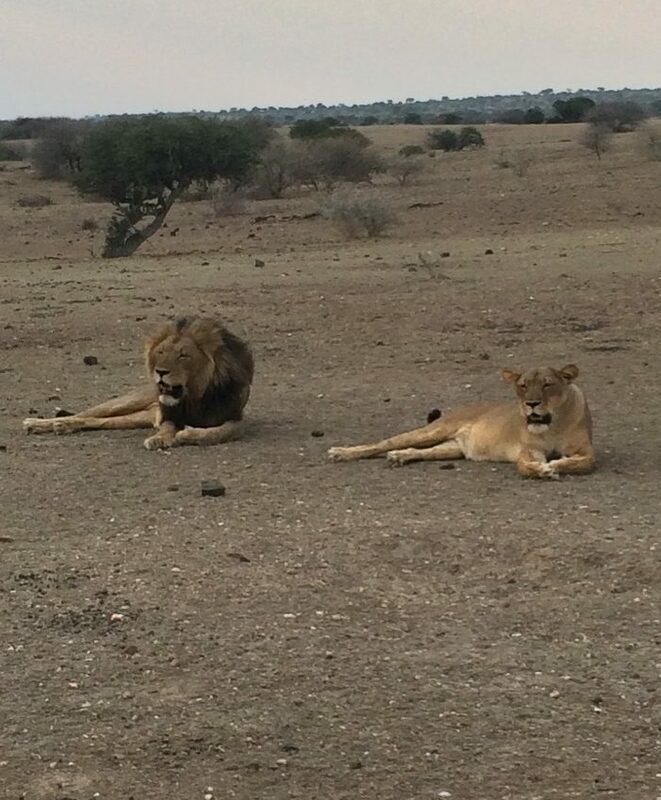 Enjoy her blog of what it’s really like to live on safari for a couple of months. It all started last September, I had just arrived home from an incredible summer of working abroad, headed straight down to UL to graduate and then all the hype is over. All of a sudden it’s the middle of September I’m not in education, living at home and I’ve no job. The post-college panic had well and truly kicked in. So as I’m moping around feeling so sorry for myself (convincing myself I was the first person to go through this struggle) my mum jokingly asks me ‘would you ever go out riding in Botswana for a few months? I see they’re looking for volunteers on Facebook.’ Ten days later I boarded a plane to South Africa. After a couple of plane rides, an overnight stay in the middle of Johannesburg and a few buses we eventually arrived at Mashatu Game Reserve, Botswana. From here on in the ‘is this really real?’ started and it lasted for the duration of my stay. Honestly, Botswana is just like no other. We drove through South Africa where we saw giraffes standing behind a fence looking out at us (which is still pretty amazing), to Botswana where they became a hazard when we were picking up the guys in the morning. Standing in the middle of the road turns out to be a convenient spot for eating. This was as well as trying to avoid hitting the numerous impala and warthogs strolling across the road. Sometimes I had to double blink to make sure my imagination hadn’t gone wild and it turns out it hadn’t, it was all real. Jess and I arrived together and met the third volunteer Evie. Evie was beaming and proceeded to tell us that she had been woken up the night before to elephants roaming around the garden! Now if you had seen the size of our house, how much of it was glass and the fact that people repeatedly tell you elephants aren’t friendly, you might not be so envious of this story. However, we still got pretty excited. Our home for the next few months sat about 20 metres from the famous Limpopo river which acts as the border between Botswana and South Africa. It was bone dry while I was there which meant the elephants took advantage of the dry passage and enjoyed feasting on the South African farmer’s crops. 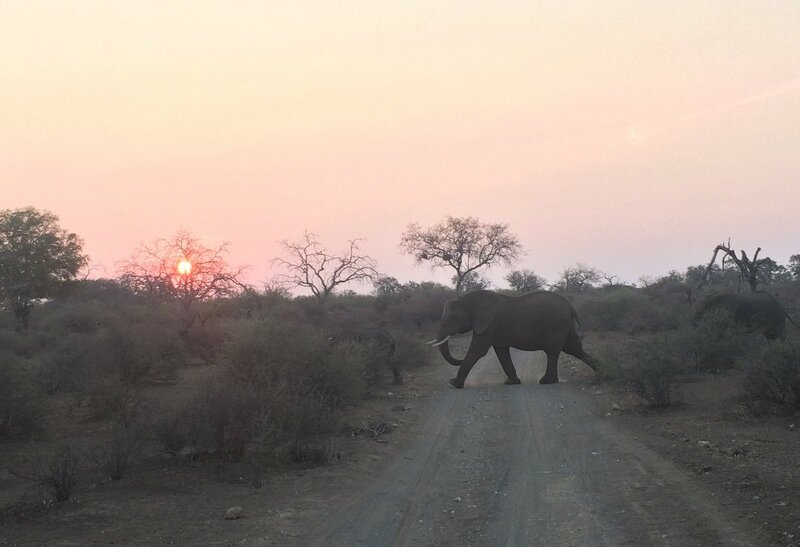 This, in turn, would lead to false guns shots causing the elephants and whatever else had crossed over to quickly scurry back to the safety of Mashatu Game Reserve. One day a baby goat was one of the animals that made the journey back who soon became known as Gurty the goat and fitted in perfectly with the two dogs. Everyday life in Botswana was an adventure. From waking up to a hyena sitting on my porch to seeing my first ever moonrise (which I didn’t even know was a thing) there was never a moment you wanted to miss. F.O.M.O (fear of missing out) becomes a real thing. Blinking can mean you miss a rare sighting of a baby leopard as it runs through the spotter’s beam of light (yes this did happen me) and so we all took part in every outing. Wildebeest’s, impala and giraffes become the norm. 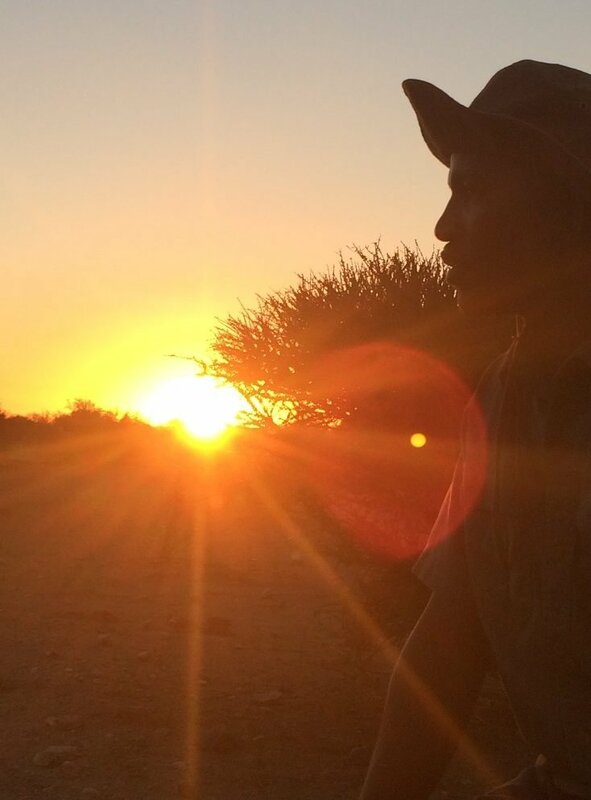 It was little things like watching the sunset while listening to lions roaring and impala’s snorting, alerting their herd they were in danger, to chasing baboons out of the sand arena as they sat checking themselves out in the mirror that you realise what a magical, authentic place you’re in. In return for our work, we got to go on a seven day TULI safari. As amazing as it was around where we lived, we always knew there was so much more out there to see. Eventually, Evie’s week arrived and with a few guests conveniently dropping out it turned out to be my week too. Just when we thought it couldn’t get any better it turned out we were going together! I was riding a horse called Lightning who was new to the safari lifestyle. From rolling with me on him in a waterhole to performing a bucking bronco when elephants appeared the guests were never left short of entertainment. 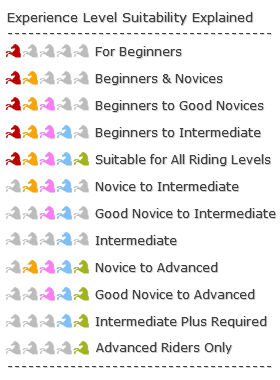 Saying that him along with all the horses out there are incredible. 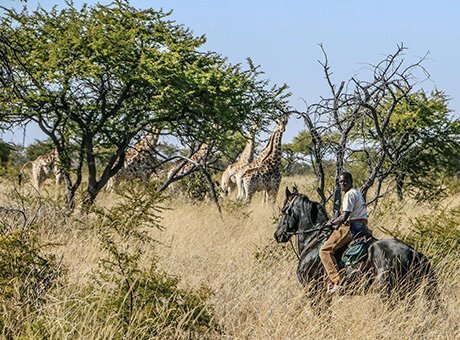 The TULI safari went above and beyond all expectations. I don’t think anything will ever compare to it. Sitting watching a cheetah and her three cubs lie out in the sun, listening to the rhythmical breathing of the horse underneath you as it stares into the eyes of its potential predator isn’t a feeling I’d ever experienced before. Cantering across a wild open landscape as the guide scans all around for what was to pop out next, a sharp whistle from the guide and all the horses drop down to a walk, suddenly you spot a memory of elephants, sometimes alerted by our arrival and other times totally oblivious as the matriarch leads her herd to their next destination. The guides and their horses have an unimaginable trust in one another, you haven’t seen a brave horse until you see one of these horses leave the group and stand between you and an approaching elephant. By the end of the week just when we thought there was nothing else left for us to see we were brought to a section on the Limpopo River which holds water all year around. We were looking down from the banks amazed at this small pond of water when all of a sudden one, two and then three hippopotamus heads pop up above the water and then down under they go again. The guide’s eyes were like binoculars of their own and as we were all fixated on the hippos David called us to look a bit further left to see a crocodile sunbathing on the edge. My two months there flew by and sadly it all came to an end. On our last day, Evie and I along with Ompho (one of the guides) went out for a casual ride. We had seen everything ten times over at this stage so what more could we really ask for? Little did we know what was to come. After an incredible ride out starting to see the green shoots popping up and large herds of zebras, wildebeests and warthogs all hanging out we headed for home. Just being the three of us we were travelling at a good pace when next thing Ompho shouts back ‘I hope you have your go pro ready.’ To our left a large tower of giraffes came galloping up alongside us, soon enough we were all merge into one and galloped together. There are no words that can describe this experience because the feeling is something I had never experience before. The sounds and the surroundings all created a moment that I will most certainly never forget but will find few people who truly understand it. Breath-taking now has a whole new meaning for me. I have attempted to give you a glimpse of what life at Mashatu is like, however, words don’t do it justice because the atmosphere is what makes it so special. Nothing will prepare you for the magical experience of Botswana.